How often should you update your LinkedIn profile? It's not what you think! Home » How Often Should You Update Your LinkedIn Profile? 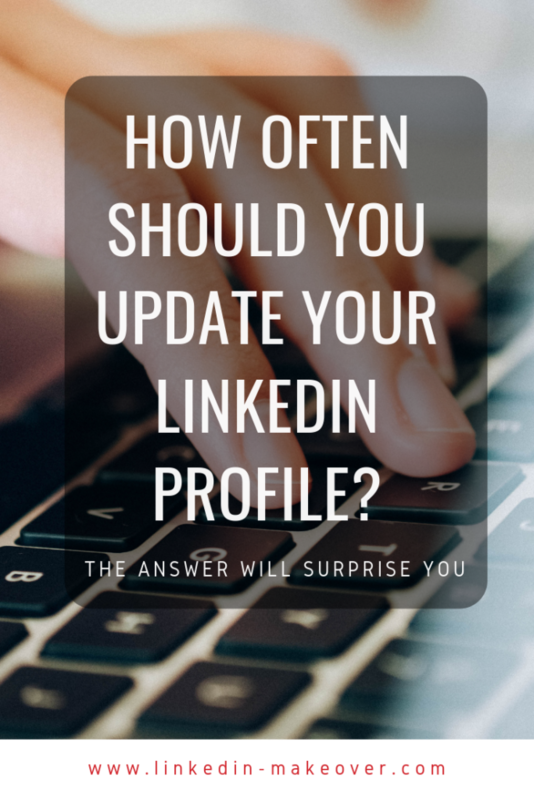 How Often Should I Update My LinkedIn Profile? Question: How often do you update your LinkedIn profile? I make it a point to do so every quarter to make sure it communicates what I want it to. It’s a part of my quarterly business review task. Is quarterly too much? Too little? Just right? Thoughts? LinkedIn wants their search results to be great– relevant, current, and a match to what that person is searching. If your profile was last touched 3 months ago… LinkedIn might assume it’s not as current or relevant as profiles updated within the last couple days or weeks. 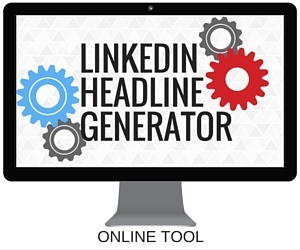 The profiles that populate the top of LinkedIn’s search results are fresh and the user is active on LinkedIn. In order to signal to LinkedIn that your profile is fresh and you are active on LinkedIn, I advise that you go in and make some little edits every couple weeks. This can be something as simple as changing out a word or simply adding a comma. Make larger edits/updates as you progress in your career/business. Remember, your LinkedIn profile should reflect who you are RIGHT NOW… not who you were three months ago. Here’s something to remember: humans have TERRIBLE memories! Our memories are so bad that we forget how bad they really are. Those little successes you think you’ll remember will be forgotten before you know it. Update your LinkedIn profile to capture your accomplishments as they happen so you don’t risk losing them to time and a bad memory. And if you find that any odious task like rearranging your kitchen or cleaning out your garage is more attractive than updating your LinkedIn profile, you can hire us to write your LinkedIn profile for you. We even have update services for returning clients, so it’s easy to keep your profile fresh, current, and high-level.